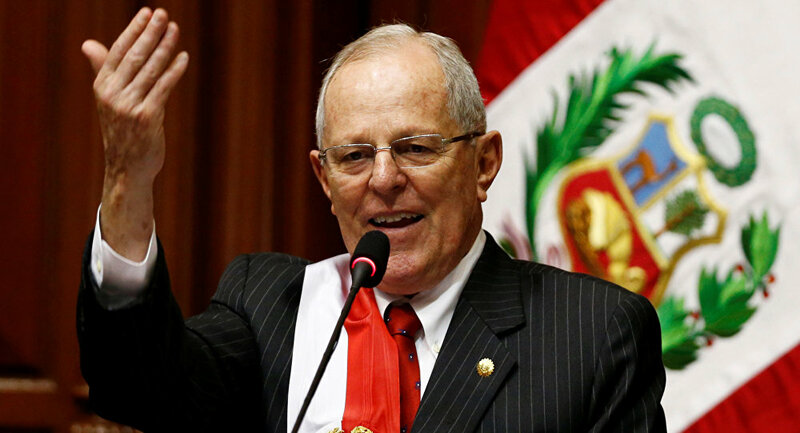 MEXICO CITY (Sputnik) - A Peruvian court on Saturday barred former President Pedro Pablo Kuczynski from leaving the country within the next 18 months due to his suspected involvement in a corruption scandal around Brazilian construction giant Odebrecht, local media reported. Judge Juan Carlos Sanchez approved prosecutors’ motion requesting a travel ban for the 79-year-old president for the duration of their investigation, according to the Lima-based El Commercio newspaper. Also on Saturday, the Peruvian Prosecutor General Office said that it was searching Kuczynski’s houses. The ex-president has been suspected of receiving money from Brazilian construction firm Odebrecht, which transferred a total of $4.8 million to companies linked to then minister and prime minister Kuczynski between 2004 and 2012. The ex-president has denied any wrongdoing, stressing that the payments were made to his consulting firm without his knowledge and that the Brazilian company had dealt with his business partners rather than him. On Wednesday, Kuczynski tendered his resignation a day before the Congress was to hold a vote of confidence in him over the corruption scandal. On Friday, the Peruvian Congress accepted the resignation and swore in former First Vice-President Martin Vizcara as acting president.